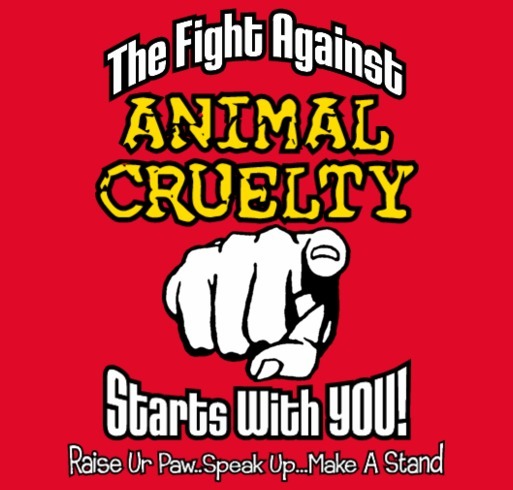 Through the worldwide power of social media and reports, we have all, in some-way, came in contact with or observed the horrific effects of animal cruelty and inhumanity, whether through articles in which people have posted, or images that leave unsettling and angering feelings within us. But even as we view or educate ourselves with the facts that are presented in front of us, many are still hiding behind the veil of denial and ignorance - turning away, ignoring or making unjustifiable excuses to unsee the reality that is forcing millions of innocent lives to be subjected too or endure torture, abuse and even loss of life to such inhumane treatment and actions. 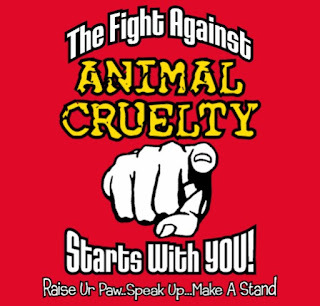 PLEASE HELP WITH THE EFFORTS BY ORDERING YOUR #STOPANIMALCRUELTY T-SHIRT --> https://www.booster.com/stop-animal-cruelty-it-starts-with-you WE ARE HOPING YOU WILL HELP US REACH OUR GOAL TOWARDS THE EFFORTS TO FIGHT ANIMAL CRUELTY. Even our justice system has continued to fail our innocent animals - by creating laws that seem to merely strike at individual cruelty, with lenient consequences or loopholes in which some offenders are able to slip through, and turn a blind eye to many inhumane actions that industries have participated in or doing at this moment. That is why it is up to YOU - those who see the truth and refuse to be blinded, to make a stand and be a voice that are so desperately needed. It is about using the power in which you possess inside to educate, encourage and empower others to play their active roles in the fight to save and protect innocent lives, and bring forth awareness and justice against the issues at hand throughout the world. It is imperative that we, as humanity, pursue success in the battle against the countless forms of inhumanity and cruelty against our voiceless, to speak up and make our voices heard for the victims -- to show nationwide that there is zero tolerance for such actions against life, and to pressure for stronger laws that will give security and protection to the innocent. IT IS YOUR TIME TO SHINE - your time to not only be active players in the fight, but be examples that togetherness creates the difference that we want to see in the world - to be beacons that empower individuals to be the voices for the victims, warriors against the crimes, and pillars of encouragement and knowledge that will educate the next generation who will be following our footsteps and leading the future to a better world. RAISE UR PAW TODAY & EVERYDAY. ANIMALS ARE NOT PROPERTY: Make The Stand Today! DON'T KILL THE INNOCENT: SERVE AND PROTECT THEM! PUT VEGANISM ON THE MENU: Are You Being Served?